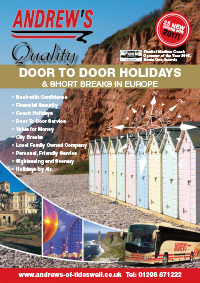 Sunday: An early morning departure by coach to Dover for a short sea crossing to Calais, travelling to your overnight hotel, the Best Western Arlux Hotel, Arlon Belgium (or similar) for Dinner, Bed & Buffet Breakfast. Monday: Departing after breakfast, we make our journey to the Hotel Oberfrosthof, St Johann for 6 nights Dinner, Bed & Buffet Breakfast. A day to the Austrian Lake region. A day to Grossglockner the most famous panoramic road in Europe. A day to Krimmel Falls & Gerlos Pass. Sunday: We depart after breakfast and retrace our steps to our overnight hotel the Best Western Arlux Hotel, Arlon, Belgium (or similar) for Dinner, Bed and Buffet Breakfast. Monday: Departing after breakfast we travel for our return crossing Calais to Dover and onwards to your original departure points. 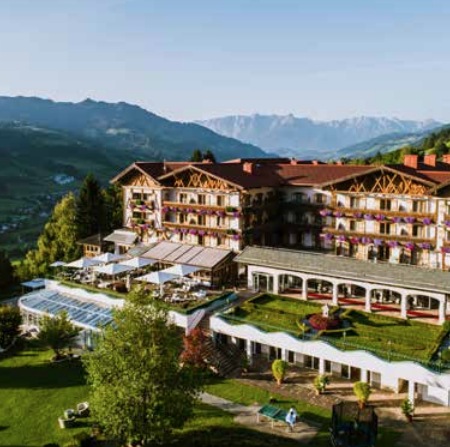 This 4 Star family run hotel offers a warm welcome and first class Austrian hospitality. 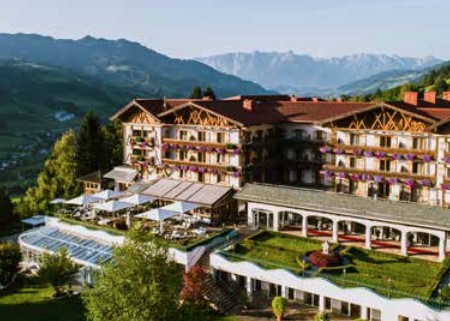 The hotel is located high up in the Salzburg Mountains and features a restaurant, bar, and outdoor terrace area. Relax and enjoy the leisure facilities including spa, indoor pool, and sauna & relaxation room. All bedrooms are en- suite with satellite television, telephone, hairdryer, Wi-Fi and room safe. The price shown is based on Twin/Double accommodation with en-suite facilities, 8 buffet breakfasts, 8 evening meals, cross Channel sailing to & from the Continent, excursions as specified, Executive coach travel as specified and all road tolls.